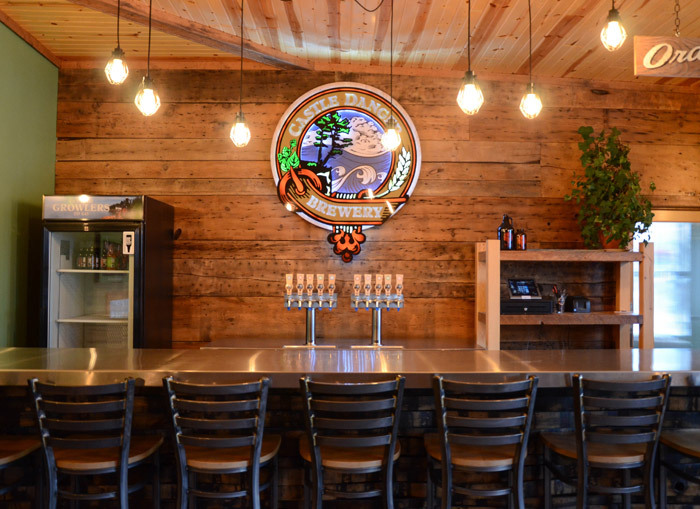 At Castle Danger Brewery, we welcome beer-centered events. Please keep in mind that we are a production brewery and taproom first. We will not close the main taproom to a private party on any day that we are normally open to the public. Our Taproom has two spaces available for private events. CDB offers a variety of beers based on the season. Beer pricing is the same as during our regular taproom hours: $3.50 for 11oz pour, $5.50 for 18oz pour, specialty beer prices vary. Guests may pay with cash or credit card, or you may choose to host all beverages. We also offer draft root beer, canned pop, juice and water. MN State Law states that we may only sell beer we produce; there can be no liquor, wine or beer produced by other breweries. No outside beverages are allowed with the exception of coffee. We have partnered with these local restaurants to provide your guests with great food: Vanilla Bean Catering, Blackwood’s Catering, Louise’s Place, Carmody 61, North Shore Pizza Cafe and Do North Pizza. You must notify CDB of all food arrangements. Fill out the CDB Party Room Rental Request Form and submit it at least 4 weeks prior to your requested event date. If your request is approved, a contract will be sent to finalize your reservation. No rental is complete until CDB receives the signed contract and rental fee.